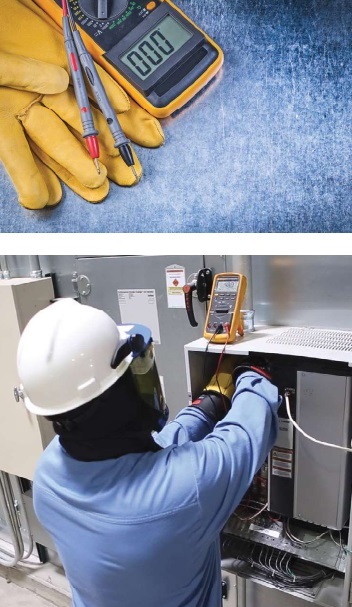 When servicing LV MV HV electrical equipment, workers must comply with safety regulations that require a voltage verification test to validate the absence of voltage. 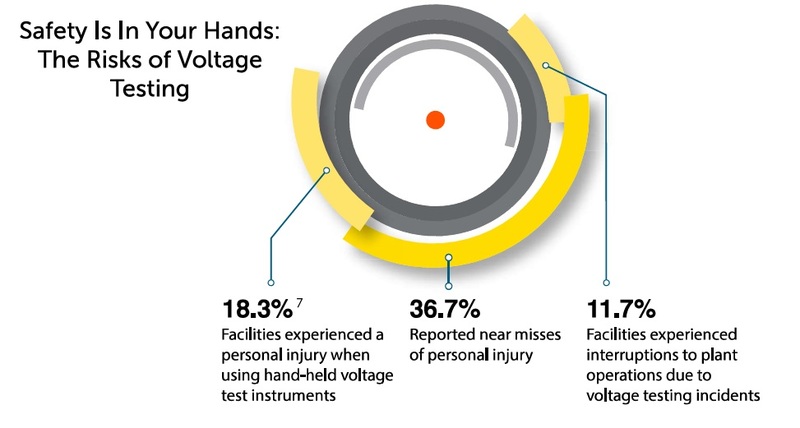 This process requires strict adherence to prevent accidents and bodily injury, but includes many stages that can be complex and time-consuming when using hand-held portable test instruments. This paper examines the costs and limitations involved with using a manual absence of voltage tester. It also describes a new technology for the factory floor that automates the process, reducing time, complexity, and costs. VeriSafeTM by Panduit is the first-of-its-kind voltage tester that determines the absence of voltage with just a push of a button. This revolutionary 2018 NFPA 70E compliant product automates the required six-step testing process in about ten seconds, enabling your plant to operate faster, safer, and more efficiently. Simplify electrical safety with the superior technology of VeriSafe. Numerous studies exist pertaining to injuries resulting from electric shock and arc flash events. These studies recognise that establishing the economic payoffs of prevention is a critical factor in promoting workplace safety. Besides personal injury, the costs of property and equipment damage need to be considered. Although estimates vary, studies have shown that the average direct cost of an electrical injury ranges from about US $50,000 to US $80,000′, while the indirect cost can exceed the direct cost by a factor of nearly four2. Direct costs include lost wages or workers’ compensation payments, medical expenditures, and legal expenses. Electrical injuries have one of the highest average workers’ compensation costs, second only to motor vehicle accidents3. Injuries from contact with exposed wiring, transformers, or other electrical components frequently occur in the workplace and involve construction, installation, maintenance, and repair workers. These injuries are often costly and serious, as demonstrated by the number of days away from work; 51% of workers missed over one week of work due to these injuries, with 40% missing two weeks or more4.5. Use an adequately rated test instrument to test each phase conductor or circuit part to verify it is de-energized. Test each phase conductor or circuit part both phase-to-phase and phase-to-ground. Before and after each test, determine that the test instrument is operating satisfactorily through verification on a known voltage source. This process usually involves a portable, hand-held voltage test instrument. To be effective, it is critical to perform each step of the process in sequence, and it requires taking the necessary precautions, such as the proper use of personal protective equipment (PPE) (Figure 1). Adhering to this process prevents electrical injuries, but the process is complex and time consuming. Portable instruments are susceptible to mechanical and electrical failure and misuse by the person using the device. In addition, because the process of using a hand-held tester is dependent on human input, interaction, and interpretation, it is vulnerable to mistakes and errors. 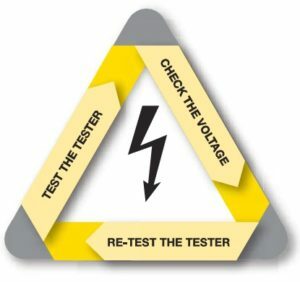 Training on the selection, maintenance, and use of test instruments is crucial as are systems for inspecting and maintaining voltage test instruments. However, training and maintaining the test equipment incur the additional expenses of time and cost. 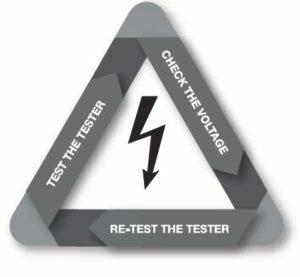 A disadvantage of implementing a voltage verification test with a hand-held tester is that the person performing it may be exposed to electrical hazards while verifying that the tester is working prior to and after the test, and during the test if the equipment was not de-energized. With such a significant emphasis on performing work only on de-energized equipment, it is ironic that best practice relies on PPE and exposure to hazards before de-energized work begins. The need for PPE is a significant contributor to the overall time to carry out this process because the worker must first determine the required PPE, then obtain, inspect, dress, and properly store it after use. Additionally, PPE can be misused or not used at all, especially when there are time constraints. When processes are overly complex or time-consuming, workers tend to become complacent and develop shortcuts as practices become routine. A normalization of deviance—small, gradual deviations from an established practice—may occur over time. With the lack of negative consequences, the lower standard eventually becomes the norm”. Even when hazards are part of the everyday routine, deviations from a safety procedure can slowly become accepted practice. 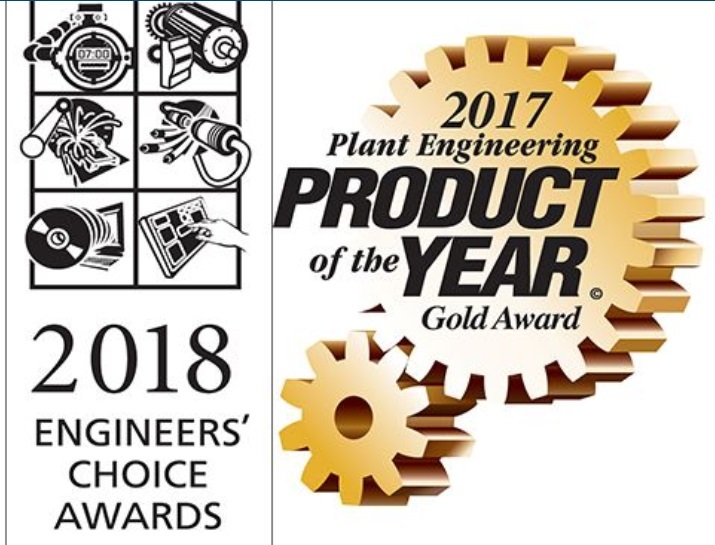 These deviations are particularly evident when there are time pressures, which is often the case when electrical maintenance causes unplanned or excessive downtime. If either training or enforcement of administrative procedures is lacking, the effectiveness of the procedures will diminish. Equipment with stored electrical energy — VFDs, capacitors, etc. Integrating the VeriSafe™ AVT is a vital improvement to absence of voltage testing. A solid testing method helps create a reliable, safe, cost-effective system that workers can use as needed. 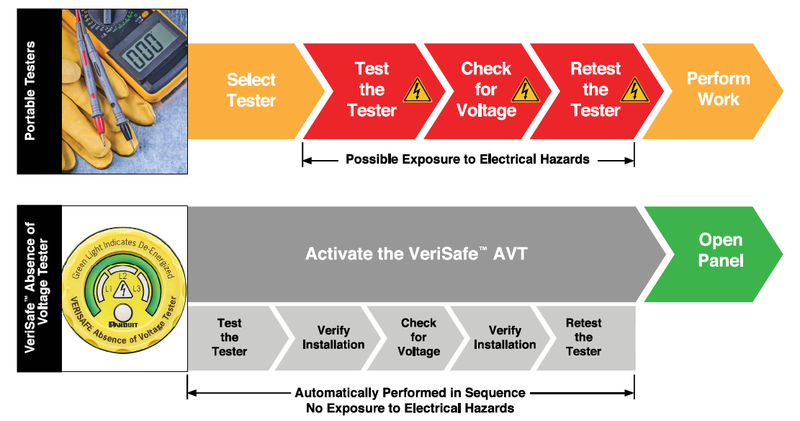 The VeriSafe™ AVT verifies the absence of voltage before equipment is accessed, making it easier for qualified electrical workers to determine an electrically safe environment in a fraction of the time required by hand-held portable test instruments. B. Campbell and D. A. Dini, Occupational Injuries from Electrical Shock and Arc Flash Events. Quincy, MA: Fire Protection Research Foundation, 2015. F. A. Manuele, “Accident costs: Rethinking ratios of indirect to direct costs,” Prof. Safety, pp. 39-47, Jan. 2011. I. B. Horwitz and B. P. McCall, An epidemiological and risk analysis of Virginia workers’ compensation burn claims 1999 to 2002: Identifying and prioritizing preventative workplace interventions,’ Occup. Environ. Med., vol. 49, no. 12, pp. 1376-1385. 2007. Standard for Electrical Safety in the Workplace 2015 Edition, NFPA 70E, 2015. L. Floyd and B. J. Nenninger, Personnel Safety and Plant Reliability Considerations in the Selection and Use of Voltage Test Instruments: IEEE Transactions on Industry Applications, vol. 33, no. 2, pp 367-373, 1997. “Only AVTs listed to UL 1436 as an AVT meet this requirement. Thorne & Derrick International, based in the UK, are Official Distributors for the Panduit range of cable ties for industrial and hazardous area management of data, telecoms, control, instrumentation and power LV MV HV cables in industrial and hazardous area industries including oil/gas, petrochemical, rail, renewable, construction and mining/quarrying industries – this includes stainless steel cable ties used to clamp and cleat cables located in medium/high voltage MV HV onshore and offshore substations.